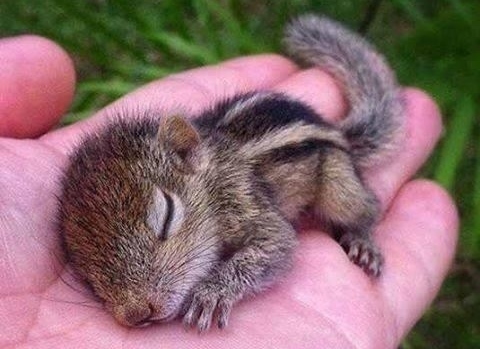 I DON’T CARE WHAT CHARLIE OR ANYONE ELSE SAYS, I WOULD LOVE TO HOLD A BABY LITTLE CHIPMUNK IN MY HAND. THIS TINY CREATURE IS SO ADORABLE! I want to hold the chipmunk too! It’s so tiny and cute and little. I love it!